Remember how strange it was when Sony tapped Marc Webb, who at that point was the guy behind sleeper indie film (500) Days of Summer, to lead their The Amazing Spider-Man franchise? That was just the start of a growing trend of indie filmmakers making the jump to much bigger things, such as Gareth Edwards on Godzilla and Colin Trevorrow on Jurassic World. And now you can add one more to the list as The Kings of Summer's Jordan Vogt-Roberts is bringing to screens one of the most popular video games ever. Vogt-Roberts will direct Sony's developing adaptation of Metal Gear Solid, the hit Konami video game franchise that began with the NES Metal Gear game in 1987. 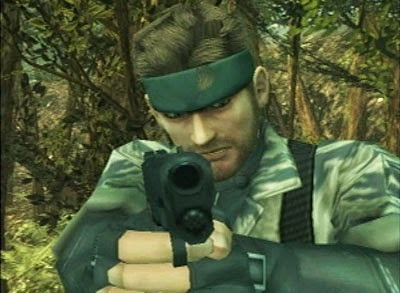 Creator Hideo Kojima would take the adventures of hardened soldier Solid Snake to the Playstation with Metal Gear Solid, where the stealth series went on to sell more than 30 million copies worldwide and spinoff into other forms of media. Vogt-Roberts did a brilliant job giving 'Summer' its own unique look and style, and there's no reason to think he can't do the same for Metal Gear Solid.